President Donald Trump’s administration says there’s “no demonstrable evidence” that such programs improve students’ performance in school. He plans to cut funding for programs that our community uses and can see the positive results from such after school programs. Our children deserve better than this. Last night we held our first meeting and it was pretty successful. We discussed a lot of items and set goals for the future of our charter. We started off our meeting at the library but when the library closed and we weren’t done, we decided to continue our meeting at Gibby’s. It was great hanging out with everyone. PickCo Young Dems currently has two members running for office! Hope to see more of you at our next meeting. Stay tuned for more information on that meeting! See the links below for our upcoming meeting. We will be meeting on 4/27/17 at the Pickaway County Library at 7pm. The Pickaway County Young Democrats will be holding a meeting this Thursday, April 27, 2017 at 7:00 p.m. at the Pickaway County Library. 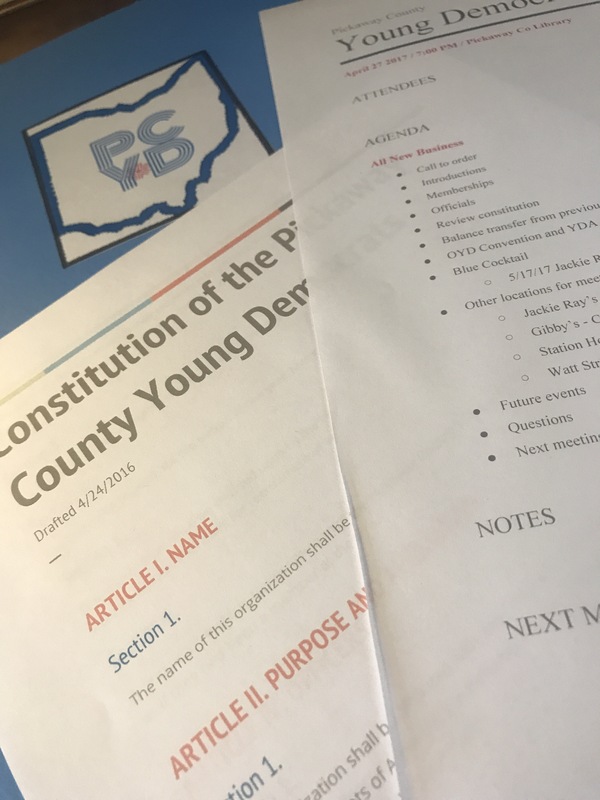 We will be discussing the organizing of a new charter for the Pickaway County Young Democrats and how to get involved. This will be a fresh, new start for the Pickaway County Young Democrats and a great chance for the progressive young Dems of the county to get involved and bring change that matters to our community! Hope to see some of you bright Dems there! 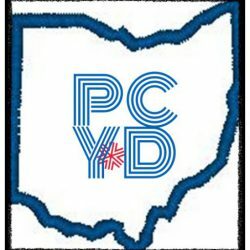 Welcome to the new Pickaway County Young Dems website.